Pegasystems Inc., the software company empowering customer engagement at the world’s leading enterprises, today announced the launch of Robotic Accelerators for Pega Customer Service, making it easy to deploy personal desktop robots to help customer service agents automate their most mundane and repetitive tasks. Now organizations can quickly provide service agents with task-specific bots to simplify their work, increase productivity, and ultimately improve customer experience. While customers continue to demand better and immediate service from brands, customer service representatives are saddled with legacy systems that have only grown more complex to use and manage. A typical agent must toggle between dozens of applications and screens dispersed across the enterprise as they try to focus their attention on the customer. 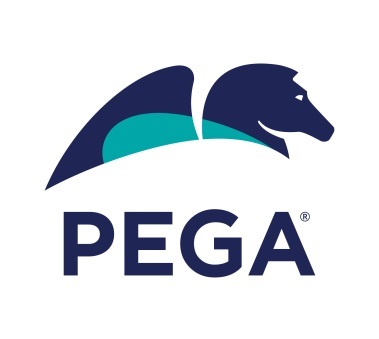 Now Robotic Accelerators for Pega Customer Service allows organizations to simplify their desktops and eliminate low-value work by quickly deploying personal bots designed to handle common service agent tasks. This frees agents from cumbersome manual processes that slow them down, such as re-entering the same information across multiple systems. Start My Day: Enables agents to sign into all applications they use with a single click, saving them valuable minutes to begin or resume their work day. Call Wrap: Captures all notes and actions taken from a service call and populates them into all systems that need the information, allowing agents to quickly transition between calls. Shortcuts: Improves usability of existing applications with prebuilt core task shortcuts that automatically launch their favorite or most used functions. At-A-Glance Customer View: Retrieves contextually relevant customer data from disparate applications in a centralized, easy-to-consume format so agents have the data they need to service a transaction at a glance. Additional bots can be quickly configured and deployed with Pega Robotic Automation to streamline other unique tasks and workflows. All bots are automatically unified within Pega Customer Service, the application that enables service teams to anticipate customer needs, connect customers to the right people and systems, and automate or intelligently guide each step of each interaction. No other customer service application on the market provides integrated personal bots that help streamline work for every agent. Robotic Accelerators for Pega Customer Service allow organizations to jump-start their customer service transformations, making a substantial impact on productivity and customer experience in as little as a few days. Robotic Accelerators for Pega Customer Service are available now and are included in select Pega Customer Service bundles. For more information, please visit www.pega.com/products/crm-applications/customer-service. Previous articleelement14.com challenges engineers scare the 64-bit out of them!